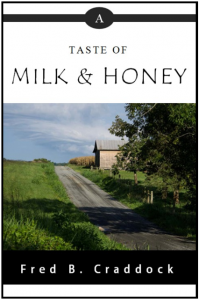 Milk & Honey - The Craddock Center, inc.
A Taste of Milk & Honey compiles nearly 10 years of stories and articles from The Craddock Center newsletter, Milk & Honey. All nuggets reverberate fully with the voice of Dr. Craddock and chronicle the Center’s evolution as well as tales from Southern Appalachia. Despite his seventh retirement, A Taste of Milk & Honey was Dr. Craddock’s brain child. All proceeds–100%–support Center programming, especially cornerstones, such as the Children’s Enrichment Program and Story Express.